For many home buyers, private mortgage insurance is one of the expenses involved with purchasing a home. Most home buyers believe that Private Mortgage Insurance (PMI) automatically drops off once 80% Loan-To-Value (LTV) is confirmed by a new appraisal report – but this is not necessarily true! Fannie Mae has specific guidelines on when PMI will terminate. It’s important to be familiar with these guidelines so you can understand when you can stop paying PMI based on your specific loan terms. Read on to learn more about private mortgage insurance and find out when you can expect to stop paying PMI on your home loan. Private Mortgage Insurance is often used for conventional home loans, and is normally associated with mortgages where the buyer puts down less than 20% as a down-payment. PMI protects the lender if you stop making payments on your loan. 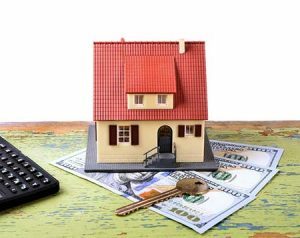 It is typically included as a part of your monthly mortgage payment, but in many cases it does not have to be paid for the entire life of the loan. Learn more about private mortgage insurance and down payments here. How Can I Get Rid of PMI? When Will My Monthly Mortgage Insurance Terminate? This isn’t guaranteed however; your mortgage payment history plays a role and may impact the termination of PMI. If you have a clean mortgage payment history, then there is an automatic termination of PMI. If you have late payments, then there is a possibility that your PMI will not be removed until you have met the mortgage payment history requirements. Can I Cancel Private Mortgage Insurance Sooner? Yes! There are a few ways you can terminate PMI on your home loan sooner than originally expected. If you believe your home value has increased and you have at least 20% equity in your home, you may be able to refinance in order to terminate PMI sooner. When you refinance your home, the new lender will not require Private Mortgage Insurance since you have reached the 20% equity milestone. TIP: Make sure that you include any closing costs that may get rolled into your mortgage to make sure the total “New Loan” amount is at or below 80% of what the appraisal value will be. Making extra payments towards your principal will reduce the time it takes to get to that magic 78% LTV mark. You can setup a process with your current lender to have extra payments go towards the principal in order to reach this milestone sooner. One easy and relatively painless way to do this is by rounding up your mortgage payments. Having an appraisal done by your current lender to see if you can remove PMI is another option if you’re interested in ending your PMI payments sooner. Your appraisal will need to show that you have paid 20% of the homes appraised value. Keep in mind that appraisals can cost between $400 – $650 generally, so you’ll want to make sure you are very confident that the appraisal will prove that you can remove the PMI before you spend the money. You’ll also want to be sure that the lender you’re working with will allow early mortgage insurance removal with a new appraisal before you move forward. You can learn more about NY home appraisals here. It is important to note that some lenders have “seasoning” requirements that may not allow you to remove PMI until a certain amount of time has passed. If you plan on asking your current lender to do a new appraisal on your property after an upgrade, to determine if you are at or below 80% LTV, please make sure you ask if there is any “seasoning” first. Wondering When Your Monthly Mortgage Insurance Will Terminate? We Can Help! Have questions about private mortgage insurance and how to discontinue it sooner? Please don’t hesitate to reach out to us! As home loan experts in Upstate New York, we deal with PMI all the time. We understand the policies and guidelines inside and out, and can advise you as to what your best options are, whether it means refinancing your home, making extra payments towards your loan principal or simply continuing to make your monthly payments as you have been. Contact us online today to get the conversation started, or give us a call at 518-782-1202 for immediate assistance. We look forward to helping you do what’s best for you and your budget when it comes to paying for private mortgage insurance. Mortgage Down Payments and Private Mortgage Insurance – Find out what you need to know about making a down payment on a house, and learn how the amount you put down will impact the private mortgage insurance you’re required to pay for. The Benefits of Rounding Up Your Mortgage Payments – Terminating PMI sooner is just one of the benefits of rounding up mortgage payments. Learn more about the advantages of this easy practice. What’s Included In My Monthly Mortgage Payment? – Private mortgage insurance is just one of the fees that’s bundled into your monthly mortgage payment. Find out what else included in your payment each month. Early Mortgage Pay Off Calculator – Thinking of paying your mortgage off sooner? Find out how quickly you can pay down your mortgage just by rounding up your payments to pay extra towards the principal each month, or by making one extra mortgage payment each year. *NOTE: Not all FHA mortgages will remove mortgage insurance at 78%. Call us for more specific details and options regarding FHA mortgages.